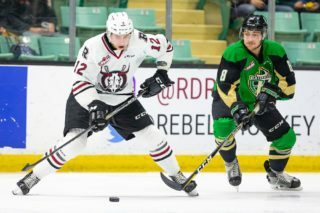 Of course, Western Hockey League teams have long since gone to two people to fill the positions, yet Dave ‘Radar’ Horning is still going full steam for the Red Deer Rebels. 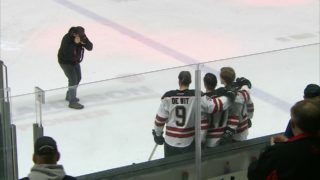 The Rebels’ equipment manager worked his 2,000th game behind a WHL bench when Red Deer hosted the Edmonton Oil Kings a week ago Tuesday. 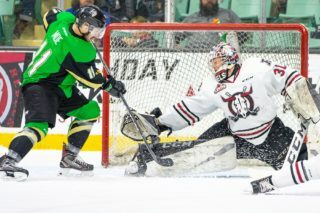 Clearly, he’s come a long way since leaving his hometown of Innisfail to earn a bachelor of physical education degree at the University of Alberta in Edmonton, where he also worked with the Sherwood Park major bantam and midget AAA teams while proceeding with his secondary education. 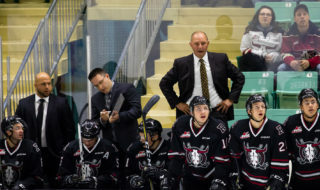 Horning then served as the Prince Albert Raiders’ trainer for four seasons before jumping ship and joining the Rebels in 1995. Even though he’s reached a milestone that’s difficult to comprehend, Horning isn’t even the grand-daddy of WHL equipment managers. 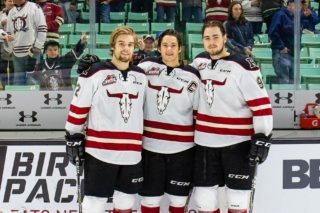 “I have a ways to go to catch the guy in Tri-City who’s pushing 3,200 games,” Horning said of Innes Mackie. “If you don’t enjoy the bus travel and everything else that goes with the job, then you’re definitely in the wrong business,” he said. “I grew up in the rink in Innisfail and enjoy coming to the rink here every day as well. As for the highlights he’s experienced during his 24-season run with the Rebels . . .
“I’ve been so fortunate to be involved in the Memorial Cup and go on some really good playoffs runs in the early 2000s,” he said. 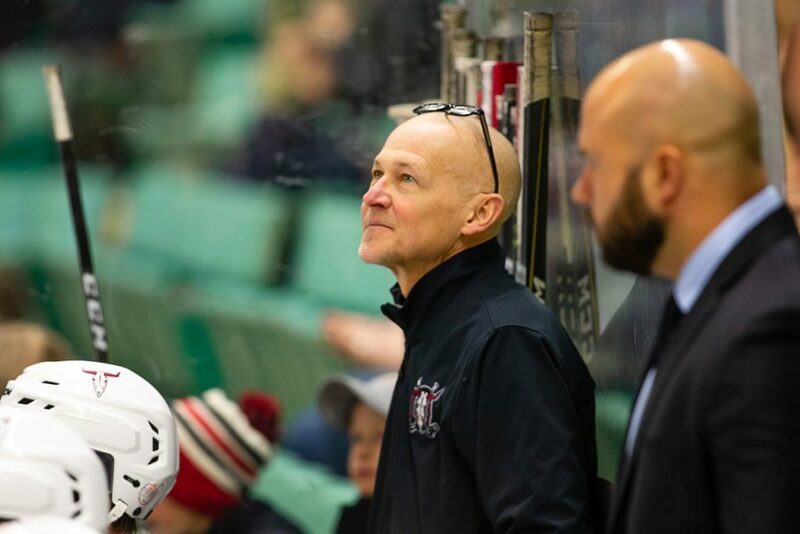 Horning’s work over the years caught the attention of Hockey Çanada and he travelled to Japan, Sweden, Russia and Switzerland to work with Canadian teams in international events, including the 1997 world juniors. Horning and his wife Melanie have two daughters — Joleen, who will turn 18 shortly and has graduated from high school, and Jessica, 15.